The Raven: six men and an elf, sword for hire in the wars that have torn apart Balaia. For years their loyalty has been only to themselves and their code. 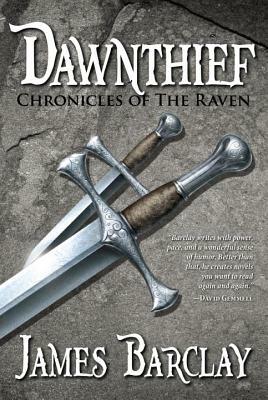 Dawnthief is a fast paced epic about a band of all-too-human heroes. James Barclay is in his forties and lives in Teddington in the UK with his wife and son. He is a full-time writer. Visit him online at www.jamesbarclay.com.